Students graduated from the college’s first Solar Ready Vets program and third Women in Sustainable Employment (WISE) program. Rowan College at Burlington County’s (RCBC) first Solar Ready Vets program graduates, and the third graduating class of the college’s Women in Sustainable Employment (WISE) program, were celebrated on Thursday, Jan. 12, at the college’s Enterprise Center in Mt. Laurel. The programs, offered through RCBC’s Workforce Development Institute, provided free training to military members transitioning out of the service and women to prepare them for new careers in energy and construction industries. Eleven students from Solar Ready Vets, which was developed by the U.S. Department of Energy, were set to graduate on Thursday in a ceremony. The students are all military members from either the Army, Air Force or Navy who are preparing to enter civilian life. 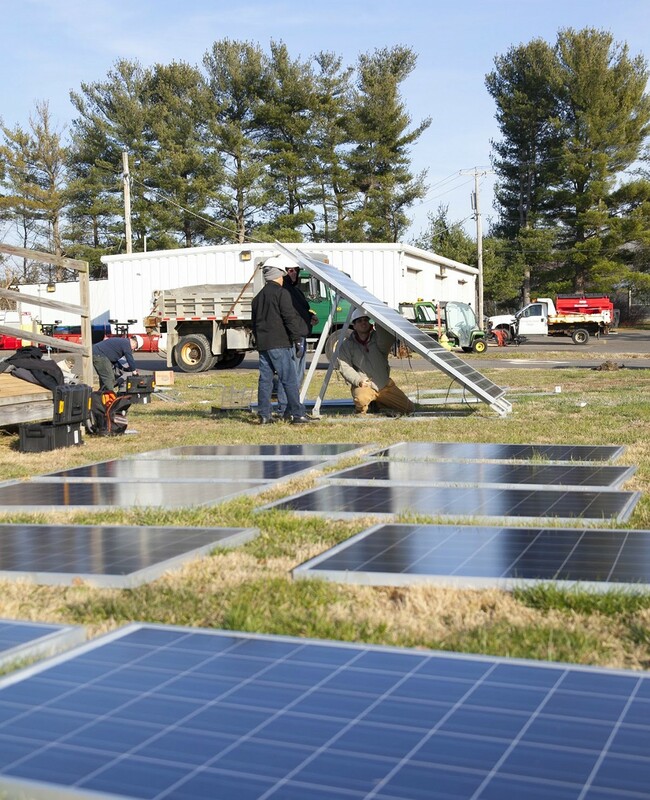 “These military members who are transitioning out the service are uniquely qualified for new careers in the growing field of solar energy because of the hands-on training they received at Rowan College at Burlington County and the technical and interpersonal skills they gained in the service,” said Burlington County Freeholder Ryan Peters, a former Navy SEAL and current Lieutenant Commander in the Naval Reserve. The six-week Solar Ready Vets program prepared participants for the North American Board of Certified Energy Practitioners Entry Level Exam and solar-related jobs like photovoltaic (PV) system installers, sales representatives, and system inspectors. They will also have the opportunity to meet with 14 different solar energy employer partners. On the same day 12 women were set to graduate from RCBC’s third WISE class. WISE prepares women for nontraditional employment opportunities in energy and construction industries. The program introduces women to positions that include mechanic, laborer, plant operator, carpenter and meter reader. WISE is supported by a partnership among the college, Burlington County Workforce Development Board, PSEG, New Jersey American Water, South Jersey Gas, Atlantic City Electric, The Sisters in the Brotherhood — Northeast Regional Council of Carpenters, and New Jersey Resources, a natural gas provider in northern and central New Jersey. To learn more about the Solar Ready Vets program, visit gomdl.com/solar-ready-vets. The next Solar Ready Vets class starts at RCBC on Monday, March 6. This class will be open to military members transitioning out of the service, honorably discharged veterans, as well as civilians. Interested WISE participants are encouraged to attend an information session. For more information on the WISE program or to register for an information session, contact Linda Bobo of the Rowan College at Burlington County Workforce Development Institute at lbobo@rcbc.edu or (856) 222–9311, ext. 2535.